All kids love growing seeds. There's something satisfying and magical about watching tiny bits of dry nothing turn into little green cress plants for example. Ollie's been growing cress every few months since he turned two, so I decided to add another dimension to today's experiment. Ollie is finding out whether big seeds start growing before little seeds, or the other way around. 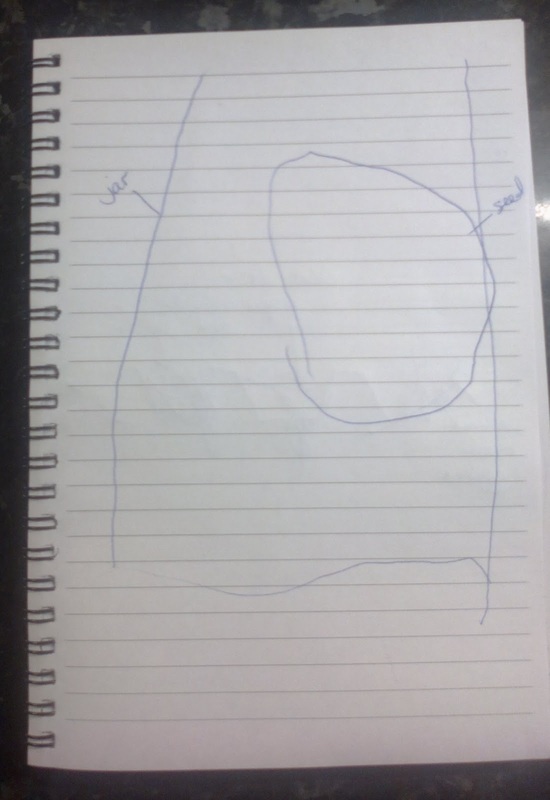 I gathered the materials he needed and then discussed with Ollie what they were, which I then wrote down for him in his notebook. 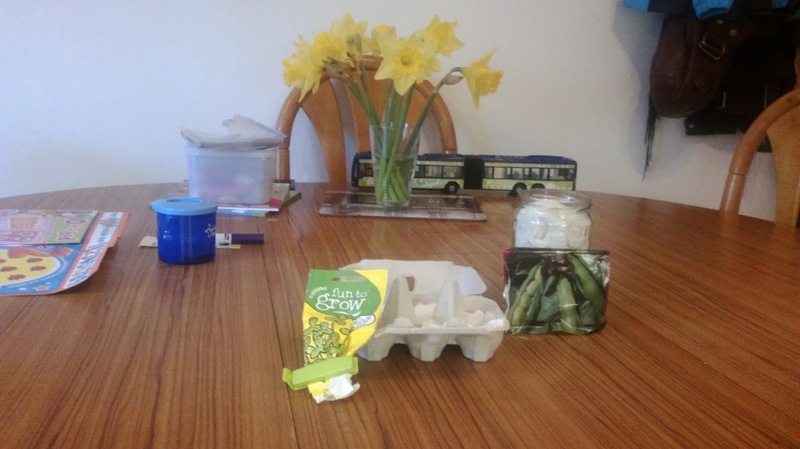 Today we used a glass jar filled with scrunched up kitchen paper, an egg box with kitchen paper in the wells, broad bean seeds and cress seeds. We talked about what plants needed to grow, and whether he thought the seeds would grow if they were dry. Ollie said they needed a drink, so I helped him to water the paper substrate in the egg box and glass jar (if he hadn't decided this I would have encouraged him to water them anyway, as disappointment from seeds that haven't grown is not helpful at this age). 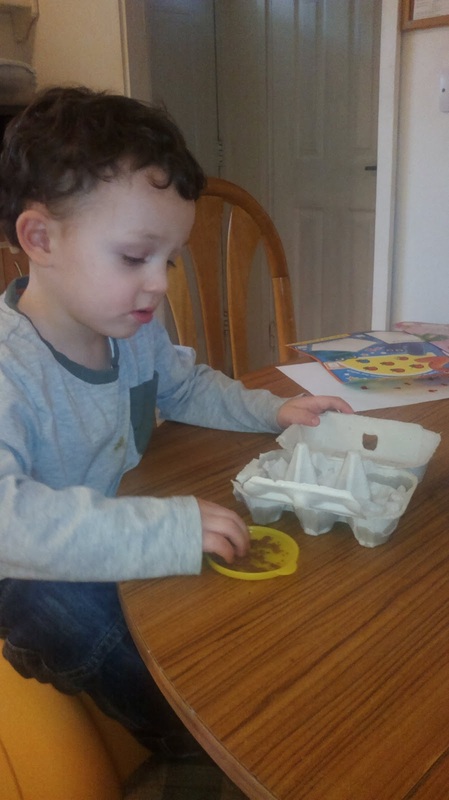 Ollie then used his best sprinkly fingers to sow his cress seeds in the egg box (and over the table, chairs and floor - science should not care too much about tidiness after all). 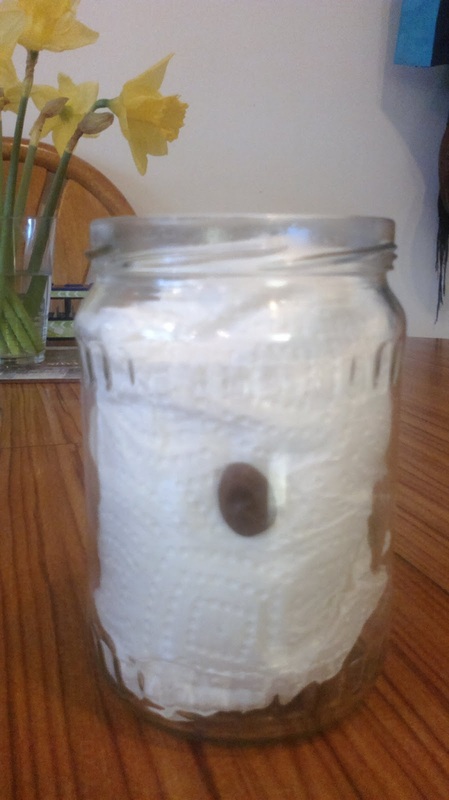 The broad bean seeds were carefully wedged down the side of the jar. A plastic pot works just as well, so long as it is transparent so your little one can see the roots and shoots forming. 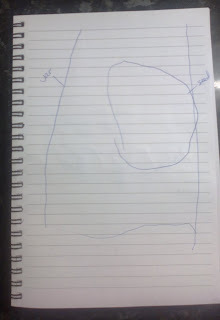 Finally, Ollie drew some pictures of his seeds in their containers, which I labelled for him. We'll check back every day to watch our experiment's progress.